The title for this weeks update came from Veronica H. of Redding, CA. She was sharing her family’s philosophy when in nature, but I think we can all take a lesson from it. Really, no matter where we are and what we are doing we need to take more pictures and leave foot prints instead of waste. 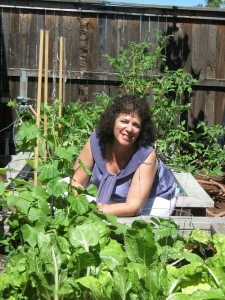 That is not Veronica in the above picture, that is Karen S of Lincoln, CA who shared this picture of her vegetable garden. She is proud that many of the seeds in her garden came from her grandparents and keep producing. My kind of seeds. 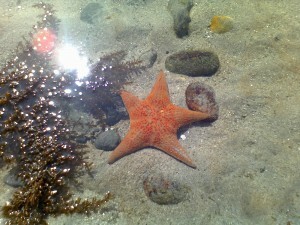 You are right Aaron, and that is why you are an Enviro Star, who shared the below star fish photo. That’s exciting for me, because I know a major tomato lover was drawn. Great work Steve, but even with Free tomatoes for a year, no one eats as many tomatoes as me. 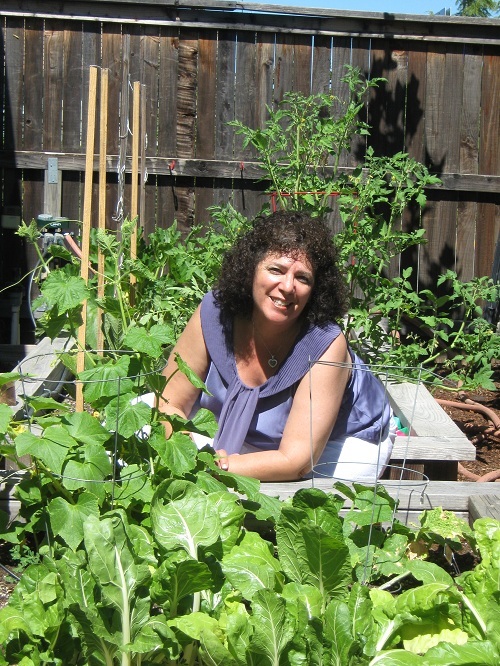 This entry was posted in Contest, Life, Sustainability, Tomatoes and tagged 365Green, Do your part, Eco, Environment, Fresh, Green, Life Lessons, seedling, Sustainability, Sustainable, Tomatoes, Vine-ripe, Win Free Tomatoes. Bookmark the permalink. Comments are closed, but you can leave a trackback: Trackback URL.